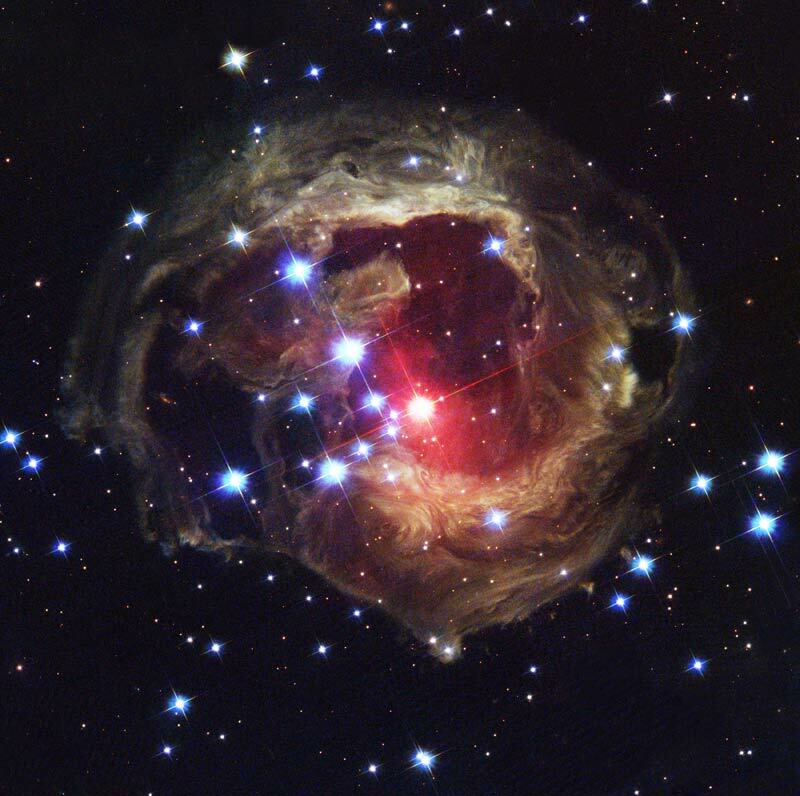 Explanation: Expanding light echoes continue to illuminate the dusty environs of V838 Monocerotis, mysterious variable star near the edge of our Galaxy. This stunning image, produced from Hubble data recorded in October of 2004, adds to a unique series of space-based, high-resolution views. After detecting a sudden outburst from the star in 2002, astronomers have followed the flash expanding at the speed of light through pre-existing dust clouds surrounding the reddened variable star. While the expanding light echoes are dramatic, astronomers have struggled to understand where V838 Mon itself fits into the stellar life cycle. 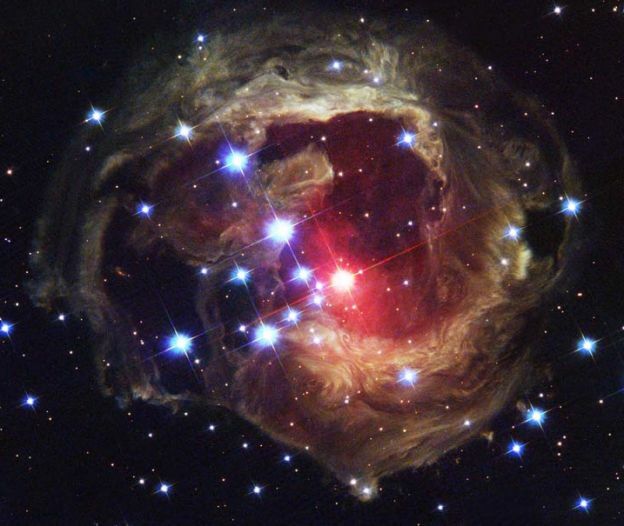 Studies indicate the V838 Mon is a young binary system with a massive star responsible for the outburst. The Hubble image spans about 14 light-years at the estimated 20,000 light-year distance to V838 Mon.